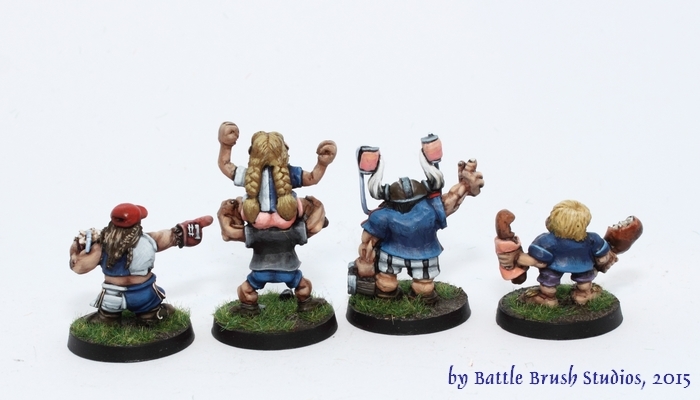 First part of a few Blood Bowl minis I recently painted for a special little commissoned project. Here we got a bunch of Dwarves and a Halfling Blood Bowl fans. Really, really fun figures. The sculpts are pretty rough (very old-school stuff), so I wasn't sure if I'd be able to paint them so they look pretty. Hope I got it right. What do you think? 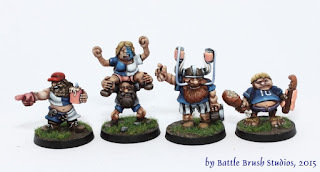 Very cool looking minis. and you give them a lot of character.